The ruling Liberal Democratic Party on Tuesday officially designated Sept. 20 as the date for its presidential election — a poll predicted to give Prime Minister Shinzo Abe a historic third term as LDP president, effectively extending his prime ministership by up to another three years. The LDP’s election management committee also announced that the official campaign season, during which policy debates and street speeches by candidates are usually held, will kick off on Sept. 7. 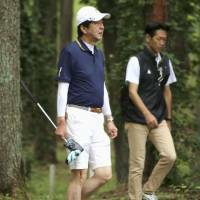 The two front-runners in the race are Abe and former Defense Minister Shigeru Ishiba. Abe, whose term ends Sept. 30, is expected to officially announce his intention to run in the election as early as next week, according to media reports. Ishiba has repeatedly made public calls for policy debate sessions with Abe. However, aides to the prime minister, who is backed by a majority of LDP lawmakers and predicted to win, seems reluctant to take part in such an event, an aide close to Ishiba said last week. “This is an important — I mean, really important — election that will determine Japan’s next prime minister,” LDP general council Chairman Wataru Takeshita told a news conference Tuesday at party headquarters. “I hope candidates will engage in substantial, open discussions about what kind of Japan they’re aiming for,” he added. Despite Ishiba’s challenge Abe’s victory looks all but guaranteed, with five of the seven intraparty factions of the LDP already voicing their intention to back the prime minister. Pro-Abe factions include those headed by Finance Minister and Deputy Prime Minister Taro Aso, ex-Cabinet Secretary Hiroyuki Hosoda, LDP Secretary-General Toshihiro Nikai and LDP policy chief Fumio Kishida. A public opinion poll conducted by the All-Nippon News Network on Saturday and Sunday showed 42 percent of respondents favoring Ishiba as the next LDP president, besting Abe, who garnered a 34 percent rate. But as far as LDP supporters are concerned Abe was their favorite choice, at 58 percent, which is also expected to work in Abe’s favor. Ballots cast by rank-and-file LDP members will be counted as 405 votes in total, while the remaining 405 votes are to be cast by each of the 405 LDP Diet members. The ANN survey covered 1,966 voters nationwide, of which 56.6 percent responded. Whoever emerges victorious will steer the ruling party and serve as prime minister, since the LDP and junior coalition partner Komeito control majorities in both the lower and upper chambers of the Diet. Asked in a Tuesday morning TV appearance why he was running in a race where he faces seemingly overwhelming odds, Ishiba was unequivocal. “Because I have to. If nobody takes this opportunity to say anything against him, what will become of our democracy?” he said of Abe. “We’ve come to a point where we have to thoroughly review our policy on the economy, social security and national defense,” he added. 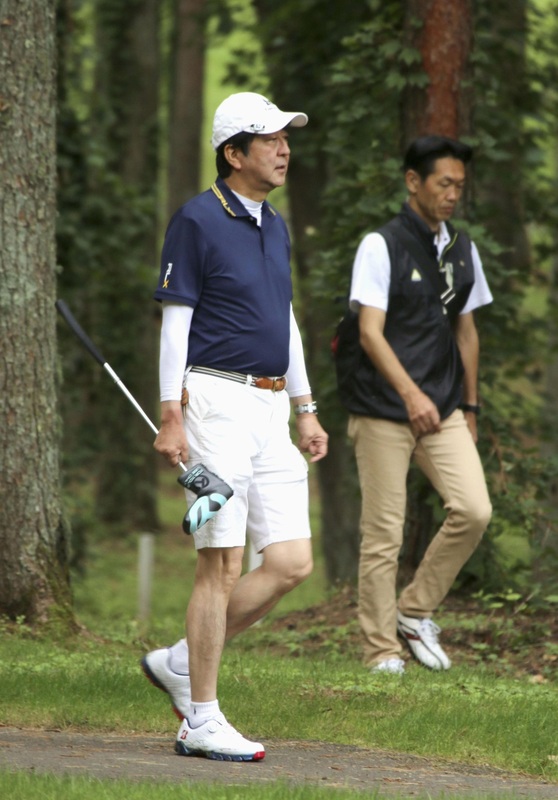 Abe, who is currently vacationing at a golf resort in Yamanashi Prefecture, said Tuesday that he hopes to “improve every day” his physical and mental strength as he gears up for the election, according to Kyodo News. The LDP race will be the first competitive presidential election since 2012. The last time Abe sought re-election, in 2015, he ran unopposed. At an Aug. 10 news conference, Ishiba vowed to create an “honest and fair” political arena, saying he would carry out a “100-day plan” to reform the government including a shake-up of the personnel system for elite government bureaucrats. The former defense chief has begun advocating for the reforms in an apparent dig at Abe over a pair of cronyism scandals that have plagued his administration. Ishiba has the backing of his own 20-member faction as well as 20 of the 21 Upper House members of the Takeshita faction, the third-largest in the body. A majority of Lower House members belonging to the Takeshita faction are expected to vote for Abe, although Takeshita, himself, reiterated Tuesday that he will support Ishiba from a “comprehensive” perspective. But with Abe’s re-election appearing to be all but sewn up, the race isn’t so much about who will win as it is about how far Abe can outpace Ishiba. A landslide win is essential to Abe at a time when the public may be feeling increasingly disenchanted with his longtime rule. A resounding triumph would also tighten Abe’s grip on power within the party and help silence rebels opposed to his constitutional amendment strategy — including Ishiba. Abe has openly argued that he would push for the revision, a longheld ambition of his, should he be re-elected, and told a gathering of supporters earlier this month that the LDP should submit amendment proposals to the Diet’s fall session. Although both Abe and Ishiba are eager to revise the Constitution’s war-renouncing Article 9, the prime minister has been pursuing a more pragmatic approach in an apparent bid to minimize any potential backlash. His idea is to add to the article an explicit mention of the Self-Defense Forces — a position that doesn’t sit well with Ishiba, a security hawk who espouses a more drastic overhaul. One wild card overshadowed by the Abe-Ishiba showdown is internal affairs minister Seiko Noda. Noda is keen to join the race but has had difficulties securing endorsements from 20 LDP Diet members, which would be needed to register her candidacy.